As the population in the U.S grows, the demand for skilled radiologic technicians will continue to increase, along with demand for all types of health care workers. Radiologic technicians and technologists work in hospitals and medical centers, large and small assisting with diagnostics, treatments, and imaging tools. Across the country, the number of jobs available in this field is expected to grow by 12 percent over the next decade. This is two times faster than the average for all jobs. Virginia is a populous state with many opportunities for radiologic technologists. Already, there are almost 5,000 people working in this field in the state. In Virginia, the average annual salary that a radiologic technologist earns is $59,370. This is slightly below the national average for the field, which is at $60,320. For an hourly wage, the mean in Virginia is $28.55 as compared to the national average of $29. Salaries can be even higher for technologists with more experience or with areas of specializations. Salaries can be as high as $70,000 to $80,000. More information on Rad Tech salaries in Virginia. Radiologic technologists working in Virginia must be licensed by the state. Exceptions to this are any employees of hospitals that are licensed. Someone working at a licensed hospital that is not an employee of that facility must have an individual license. The Virginia Board of Medicine oversees licensing and has the necessary applications for licensing. To be approved for a license, the radiologic technologist must have completed 24 credit hours of education that is approved by and documented by the American Registry of Radiologic Technologists (ARRT). A minimum of 12 of those hours needs to be listed as Category A courses as defined by the ARRT. Virginia does not issue temporary licenses, but unlicensed graduates may work temporarily as trainees until the license is approved. For anyone hoping to earn a certificate or degree in an area of radiologic technology there are many choices in Virginia. The community college system of the state, in particular, offers opportunities in several locations. Virginia’s Community Colleges. There are several community college campuses in the state, and many offer degrees in radiology fields. 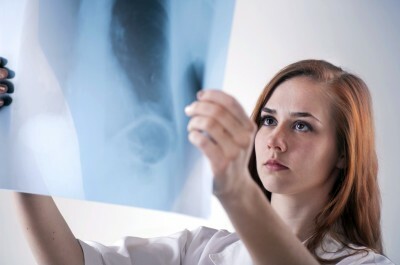 Northern Virginia, Piedmont, Tidewater, Virginia Highlands, Virginia Western, and Wytheville Community Colleges all offer an Associate of Applied Science degree in radiography. Central Virginia Community College has an associate degree in radiologic technology. Virginia Commonwealth University, Richmond. For those looking for a more intensive course of study, VCU offers a four-year program in clinical radiation sciences. The degree program prepares students for jobs as radiologic technologists, nuclear medicine assistants, radiographers, and radiation therapists. The coursework includes hands-on experience in a clinical setting. There are a couple of other options in Virginia for an education related to radiologic technology. St. Mary’s Hospital School of Medical Imaging. This school is a part of the Bon Secours Richmond Health System and trains students to work as radiologic technologists. The program curriculum closely follows that recommended by the American Society of Radiologic Technologists and is accredited by the Joint Review Committee in Radiologic Technology. Students who complete this program are prepared to become licensed and to find employment in the state of Virginia. ECPI University. This school offers an Associate of Applied Science degree in medical radiography that can be completed in as little as 18 months. There are several campus locations including Virginia Beach, Newport News, and Richmond. The school also offers an online program to achieve a Bachelor of Science in Radiologic Sciences. Those living in the south of the State of Virginia, may want to consider their options in schools in North Carolina, with the Raleigh to Greensboro area certainly offering some alternatives. Up north, there are also sound alternatives in West Virginia and in Maryland. Virginia is a large state with a big population, which means that there are plenty of hospitals and medical centers hiring radiologic technicians and technologists. There are several national professional organizations for those who work as radiologic technologists. There is the American Registry of Radiologic Technologists, which also provides the exam that is needed for most licensing. There is also the American Society of Radiologic Technologists. At the state level, there is the Virginia Society of Radiologic Technologists. This organization provides students with internships, career information, and scholarships and awards and is a good resource for anyone in Virginia considering radiologic technology as a new career.